Posted on January 5, 2016 at 11:24 am. Thanks to our friends at WIFV-DC, we recently attended the Reel Affirmations Film Festival’s screening of Victorious: Women of the Gridiron. The film is about the D.C. Divas, an all-woman football team that was undefeated in the 2015 Woman’s Football Alliance season. Some of the best players in woman’s football were present at the screening, along with the filmmaker Robert Mac, to talk about the sport and the challenges of competing in a league that is widely unknown. This is real football played by the best athletes of their gender, but few people outside of their friends, families and supporters attend the games. The filmmaker explores why this is the case. The screening of a 15 minute preview of the film showed a fascinating insight into the world of women who play league football. It got us thinking, women’s basketball has a huge following, why not women’s football? What role do the TV networks play at keeping this unrecognized talent pool in the shadows? How can these athletes break away from the stigma associated with women in a contact sport? The filmmaker is focused on these issues to draw some well-deserved attention to some of the toughest and most skilled female football players in the country. (See a five minute trailer of Victorious here – https://vimeo.com/144878763 ). Robert Mac is an award-winning filmmaker and the Executive Producer/Co-creator of the hugely popular film – Fat, Sick & Nearly Dead, (available online for free) about the “juicing” health science craze as a way to good health. “Fat” has had over 13 million viewers, and is one of the most successful health documentaries ever made. Mac embedded himself with this team during the Divas victorious 2015 season, and collected some amazing football b-roll. Any NFL men’s team would be proud to review such successful game winning plays at the end of an undefeated championship season. The interviews were compelling glances into each woman’s unique life story of how she got there, and the life lessons the game has taught her along the way. Yet nobody knows about them. It is a story that must be told. The average male NLF player makes $1.9 million dollars per season. The average woman WFA player makes exactly $0. Hopefully, with Mac’s engaging story telling, this may not be the case for long. Support their Indiegogo campaign to help bring this team of champions and this league of talented athletes out of the shadows and into the spotlight of professional sports. Don’t forget to Check out their accomplishments and schedule on The D.C. DIVA’s web site. Posted on March 17, 2014 at 2:01 pm. At Word Wizards we are all about accessibility. Our 508 compliant transcripts meet federal standards for multimedia on Federal websites that are accessible to the deaf and hard of hearing, as well as to the blind and low vision individuals. 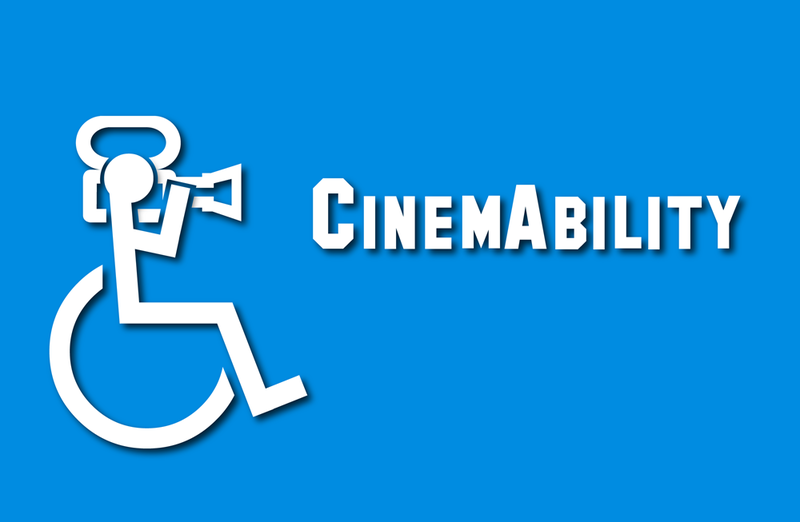 That is why we want to shout out about the screening of the video CinemAbility which asks if the media has a hand in transforming the social inclusion of the disabled and the powerful impact that it can have on society. Some of the heavy weights in the documentary include Jamie Foxx, Garry Marshall, Ben Affleck, Helen Hunt, William H. Macy, Gary Sinise and many others. The film will be premiering in Washington DC on Wednesday, March 19th at 7 pm at Regal Cinemas Gallery Place 14, get tickets here. Just as impressive as impressive as the roster of talent appearing in the film is the directing force behind it. Jenni Gold is well known and respected editor, screenwriter and producer who has 17 production credits to her name and is behind the development/production entity Gold Pictures, Inc. Additionally she is a Director member of the Directors Guild of America which is more impressive when you discover she has Muscular Dystrophy and has used a wheelchair since the age of seven. Besides directing Jenni is co-writing and currently developing a romantic comedy titled “Mr. December”, a family film called “Lucky” and suspense thriller “Adrenaline.” She initially explored her passion for filmmaking at University of Central Florida where she graduated with two BA degrees, one in Motion Picture Production and the other in Radio and Television Broadcasting. 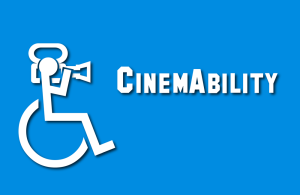 CinemAbility, which had been playing in select cities, has gotten glowing reviews from places such as the Los Angeles Times and Cinema Sentries. Narrated by screen legend Jane Seymour, the documentary takes a thorough look at just how the disabled have been depicted on television and movie screens. Its primary goal is to help dispel age old and often incorrect notions that many able bodied people still have about the disabled and user in a new level of respect. The film’s in depth investigation goes behind the lens of Hollywood to talk to studio executives, well known celebrities, film historians and filmmakers. Some of the important questions asked include Do disability portrayals in the media impact society? Or do the media simply reflect the public’s ever changing attitudes. Jenni Gold’s powerful film looks at the answers to these questions and highlights how having an enlightened understanding of disability can have a powerful impact on all. Posted on November 11, 2013 at 2:27 pm. The annual DC Peer Awards is always a special event, celebrating the best artists in the DC production community and bringing them together to reward their hard work. Word Wizards Inc. has been a proud sponsor for many years because we believe they honor the absolute best in the field and encourage aspiring professionals to continue their quest for excellence. This year however, the ceremony has a new award thanks to Word Wizards, with the inclusion of a unique Docs In Progress category that focuses on documentary works that have been produced with the assistance of Docs In Progress. The category, proudly sponsored by Word Wizards Inc., gives the winner a $500 cash reward. This new prize is meant to help promote organizations that help filmmakers who want to make their vision a reality but don’t know where to start. For almost a decade, Docs In Progress and it’s founder Erica Ginsberg have been a huge part of the DC film community has and helped dozens of filmmakers, both experienced veterans and fresh novices, tell meaningful stories and reach audiences. 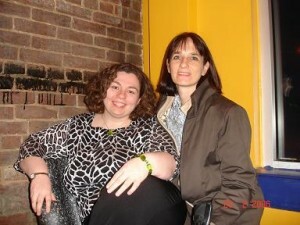 The time was way back in 2004 and two DC area filmmakers, Erica Ginsberg and Adele Schmidt, were sharing a dinner and talking about their craft. They talked about their desire to create a space where artists and filmmakers could come together to give each other valuable feedback on their works in progress and thus the seeds of Docs In Progress were planted. The first DIP screening took place at the Warehouse Theater on 7th Street in May of that year. The first films to be screened were Swing Legends and Up to the Mountain, Down to the Village. It wasn’t long before these screenings started attracting artists from all over the DC film community who came to critique each other’s work. Over the next nine years, the organization has grown to not only include screenings of under construction films but also production workshops to educate others, peer pitch programs which allows artists in the early stages of their films to receive peer feedback, a youth summer camp and even the first Silver Spring Stories Film Festival. Even though Docs In Progress has grown by leaps and bounds in it’s almost decade long history, the organization still strives every day to remain true to its founding mission and values. This mission includes programs that help nurture a vibrant documentary community as well as discussion groups and screenings to help grow public appreciation for the documentary art form. The DIP values are also important and are composed of cultivating community partnerships, building a supportive artistic environment and connecting the public with documentary filmmakers. It’s these values that made Word Wizards Inc, want to honor Docs In Progress with this special category at the Peer Awards. DIP helps people tell compelling real life stories and works tirelessly to bring these important stories to the forefront of people’s minds. Ever more impressive is their desire to help any filmmaker who is driven enough whether they are brand new to the biz or seasoned film veterans. With 2014 almost upon us, Docs In Progress is set to reach a milestone as the organization celebrates 10 years. As Erica puts it “In 2014, we celebrate 10 years of Docs in Progress in the DC-area film community. In that time hundreds of aspiring, emerging, and established documentary filmmakers from Washington DC, Maryland, Virginia and beyond have found purpose, professional development, and community through our offerings. We look forward to continuing to support films and filmmakers who have opened our eyes, our minds, and our hearts to the world around us.” Erica is an accomplished documentary filmmaker herself who’s work includes Taking Threats about international student reaction to 9/11 as well as the in progress American’s Park which looks at changes in American society and urban development specifically DC’s Meridian Hill Park and the surrounding neighborhood. Posted on September 13, 2013 at 10:25 am. 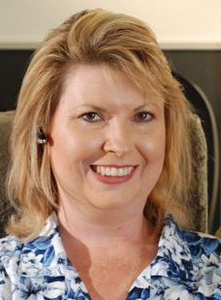 I recently ran across an interesting little article, written by Kathy A. McDonald, which was all about prepping your documentary for the market place and some basic tips to follow. Each year the Sundance Institute Documentary Film Program and Fund holds a number of labs or discussions, one of which is the Sundance Institute Creative Documentary Lab. This past summer they held a week’s worth of discussions, bringing together seven documentary producers to talk about their respective films and other related issues. One of the main talking points was the all too real challenge of fundraising and securing additional money to finish your project. Since transcription and talking heads footage, the meat of most documentaries, is Word Wizards, Inc. area of expertise we know how challenging it can be to get them off the ground. This helped inspire us to offer a cash prize to the winner of the Docs in Progress category in the 2013 Peer Awards. Some of the participants of the lab were director/producer Elizabeth “Chai” Vasarhelyi, co-directors and producers Rachel Lears and Robin Blotnick, director/producer Carola Fuentes, director/producer Hillevi Loven, producer Chris Talbott and producer Sarah Archambault. One of the first topics covered was equity financing and where to take risks when trying to build capital for your project. As producer Boni Cohen pointed out, you should always be careful about bringing in outside financiers. While the money they bring will help the project move forward towards the market, it also means you may have to deal with issues of creative control. Crowd funding is also something producers should be weary of since it can be a double edged sword. While many campaigns offer donors goodies and some swag depending on how much is given, the man power and expenses needed to make good on these offers is something to be mindful of. A good bit of advice is to study what has worked previously with other projects that were similar to yours and see how they did crowd funding. Another important aspect of your film that you always need to be aware of is exactly how to deal with the subject at the heart of the film. If you have an especially vulnerable subject, you need to make sure that they are prepped for what they might encounter at a screening or Q&A. Additionally all producers needs to make sure that the subject is aware that the film is not an economic lifeline and that they don’t have those types of expectations. If you think your subject could be the source of any controversy, make sure you have a tight grip on any social media and be cautious before the world premiere. Many films and projects have been damaged before their release because someone close to the production sent information out via twitter and Facebook that was then picked up. When you do finally have something to sell, make sure that you, your agent, distribution partners and publicist are all on the same page working as one cohesive unit. As Josh Braun, co-president of Submarine Entertainment, stressed “You have to dream and think big and understand limitations at the same time.” While producers may have lofty expectations for their films, it often falls to the sales agents to peacefully combine those expectations with the very real financial obligations. Everyone agreed that festivals still play a key role since a films successful festival run is seen as a reassuring signs to many potential buyers. While they may not all be accepted into Sundance, a series of screenings and well placed publicity can still be a major draw. To read the rest of the article in more detail, head on over to its site here. Posted on July 16, 2013 at 12:41 pm. The “SilverDocs” film festival has become AFI Docs, and shook things up this year with a completely new format. With a luxurious new sponsor, Audi, and a substantial reworking of the festival organization, AFI Docs made a big impact in its first year. Instead of being concentrated in Silver Spring, this year the majority of events and screenings took place in downtown D.C. The big premiers took place at the Newseum, The National Portrait Gallery, The National Archives and The National Museum of American History. 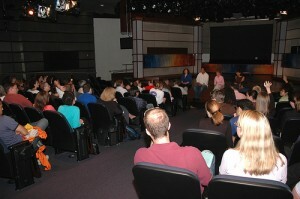 Secondary screenings and filmmaker interviews were later held at the AFI Silver Theater, the original location of SilverDocs. Many critics of the new format were concerned that having the festival so spread out would be too chaotic, and would lead to a drop in attendance. However, the festival was well attended and the critics were proven wrong. Furthermore, it added a bit more buzz to the festival since these films, which contain so many important issues, were playing right next to the highest halls of political power. My role in the festival was acting as a media manager, which was not the most glamorous job, but still important. The AFI Docs tech crew had cameras and producers going around and getting different types of footage. This included man on the street interviews, footage from Q&A’s that preceded documentary screenings, and some personal interviews with directors. I was responsible for taking this footage from P2 cards, putting it on hard drives, organizing the footage so the editors could get to it quickly, and then dropping these drives off at AFI Theater where all the editing took place. 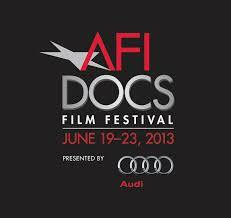 Again, not the most exciting work but I did love working with the AFI Docs crew. Additionally, I got the chance to help edit a few of the festival trailers, one for the “best of” trailer and one for the movie Mistaken For Strangers. Word Wizard Inc. has always been a huge fan of the festival because it focuses exclusively on documentaries. The diversity of people and topics represented by the festival is truly impressive. One film I had the pleasure of viewing was, Dragon Girls at the Newseum. The movie follows three women enrolled in the largest Kung Fu academy in China, and explores how they deal with their adolescence and the grueling training. I was really impressed by this film, because it shed light on a culture that I normally wouldn’t think about. There were many other documentaries that seemed especially interesting. One of which was Running From Crazy, a story about the family history of Ernest Hemingway and his granddaughter, actress Mariel Hemingway. 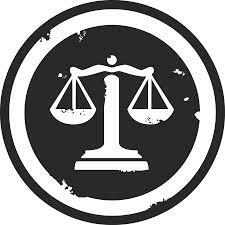 I also hear lots of buzz about Gideon’s Army, which examines the importance of public defenders. Posted on April 19, 2013 at 2:10 pm. Film festival’s like Filmfest DC are important since they give a voice to many films that otherwise would not be able to find an audience. Yes, some things like the internet and video sharing sites have made self distribution easier than before but its still tough to get them in front of people. Film festivals take only the best which means audiences have a certain quality to look forward to and that filmmakers have better chances to be recognized. To find out about all the screenings and films, check out the Filmfest DC website at http://www.filmfestdc.org/. Need a Little Help With that Documentary? Posted on March 29, 2013 at 1:38 pm. While to many outsiders i.e. people not in the media or video production biz, making a documentary or any kind of media production may seem like fun, we video professionals know just how much hard grueling work is involved in even the most basic media. Not only are there a seemingly impossible number of steps you have to go through but obviously you want to make sure you’re doing it well. Working in a documentary rich community like the one here in the D.C. Metro area is enormously helpful because of the sheer number of professionals who strive to help each other out. Through each step of the process from conception and story boarding to filming, principle photography and finally editing, transcription and logging there is someone wanting to collaborate with you and make your work that much better. One of these people Adele Schmidt is definitely worth getting to know. Adele Schimdt brings a decade and a half of valuable experience with her in that time has produced, edited and directed more than 6 long form award winning documentaries. Not only have these documentaries all been shown on National Public Television, they have also participated in over 50 national and international film festivals. So the fact Adele has become a well known documentary coach should surprise no one. She loves helping guide people through the process of making their film and is incredibly passionate about making sure new projects succeed. 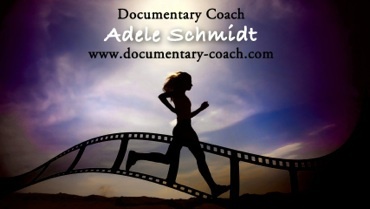 As a coaching consultant, Adele guides filmmakers in all stages of the documentary process. She works with them on research, helping them decide which talking heads and research to utilize. During the production and shooting process she loves to give them pointers and tips on how to create the best possible looking film. Finally during the editing phase, Adele helps filmmakers polish their work so that it absolutely shines. She is a firm believer in transcripts with time code and has referred Docs makers to Word Wizards, Inc. in the past. 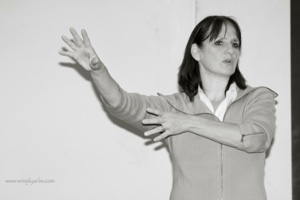 In addition to personal coaching, she also teaches a number of workshops and seminars during the year around the DC area. Posted on January 9, 2013 at 12:08 pm. Yes We Did: The People’s Inauguration is the story of the pandemonium surrounding the inauguration of the first African American President of The United States of America. Next Wednesday, January 16th, our friends at Docs In Progress have teamed up with We Are Takoma to provide a free screening of this insightful documentary film. The filmmakers will be there next week to answer questions, talk about the making of the film, and explain why they felt compelled to document this historic event. 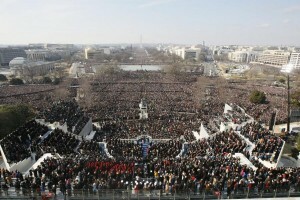 Over five days of shooting, two filmed the events leading up to and surrounding President Barack Obama’s 2009 inauguration. The film covers the entire experience; parade prep, overbooked hotels, empowered communities, and long distance journeys. 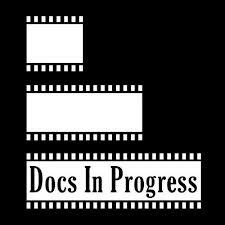 Docs In Progress provides education, training, and assistance for people who want to learn about documentary film production. Yes We Did participated in a Docs In Progress work-in-progress screening in January 2010. The film has since been completed and polished, and Docs is proud to help put on this screening to show off the work of some very passionate and motivated students. The film will be publicly screened next Wednesday at 7:30 PM in the Takoma Park Community Center Auditorium. If you are interested in going, good news, its free and no tickets will be required. For more information you can visit the Docs In Progress Yes We Did Event Page for all the details.